Издательство: Scholastic UK, 2017 г. The smallest fish can tell the tallest tales ... "Sorry I'm late, Miss. I set off really early but on the way to school I was captured by a squid. I wriggled and I struggled till a turtle came and rescued me." "Oh, no, he didn't." "OH, YES, HE DID." Tiddler is a little fish with a BIG imagination! What ever will he come up with next? 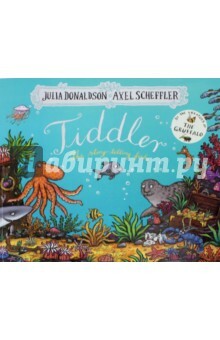 Скачать Tiddler - Julia Donaldson.